Promotion: Buy 2 DAC PCB get USD70 Off! AK4490EQ is a new generation Premium 32-bit 2ch DAC with new technologies, achieving industry’s leading level low distortion characteristics and wide dynamic range. 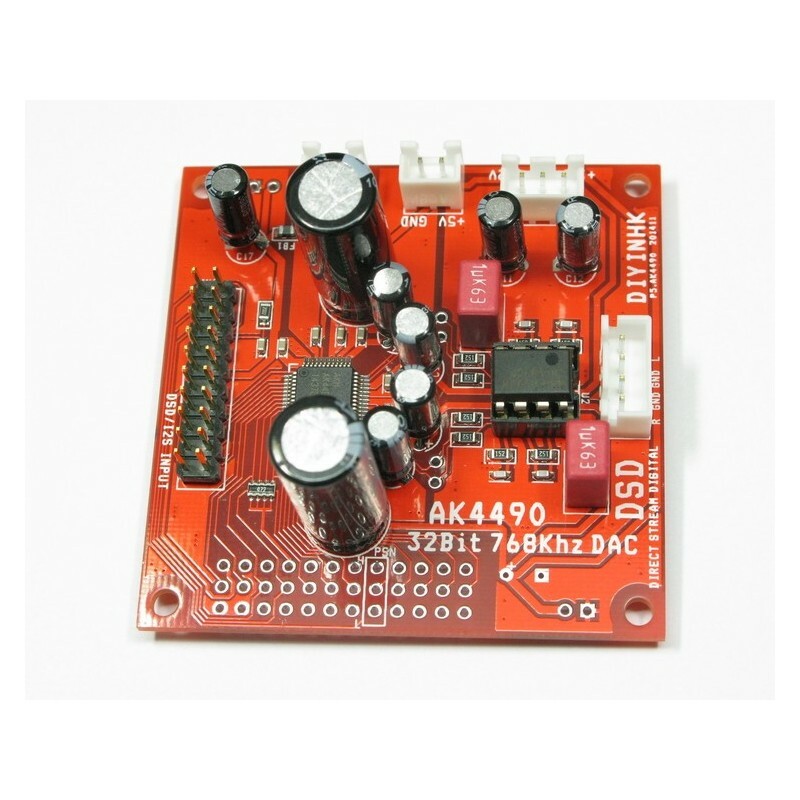 The AK4490 integrates a newly developed switched capacitor filter “OSR Doubler”, making it capable of supporting wide range signals and achieving low out-of-band noise while realizing low power consumption. Moreover, the AK4490 has five types of 32-bit digital filters, realizing simple and flexible sound tuning in wide range of applications. The AK4490 accepts up to 768kHz PCM data and 11.2MHz DSD data. *The XMOS PCB in the kit is flashed with our AK4490/4495 customized bit perfect lossless I2C DSD and PCM volume control firmware, it send software command and switch AK4490/4495 between DSD and PCM playback. We are the first (since last year 2014) and still the only one (as of today 2015) in the major market can achieve DSD volume control from the PC os mixer bit perfectly. We are proud to ahead of the major market for at less one year. Please notes AK4490/4495 can only playback PCM when running in the default non software control mode. Zero pop/click noise is achieved when switching DSD/PCM mode or shuffling through DSD song file in either DoP/Native DSD mode(tested in foobar) with our new 768K XMOS PCB flashed with our fine tuned ak449x customized firmware. 5) 2200uF panasonc Low ESR capacitor at VREFH/L pin for super bass response and highest performance at 20Hz range frequency. 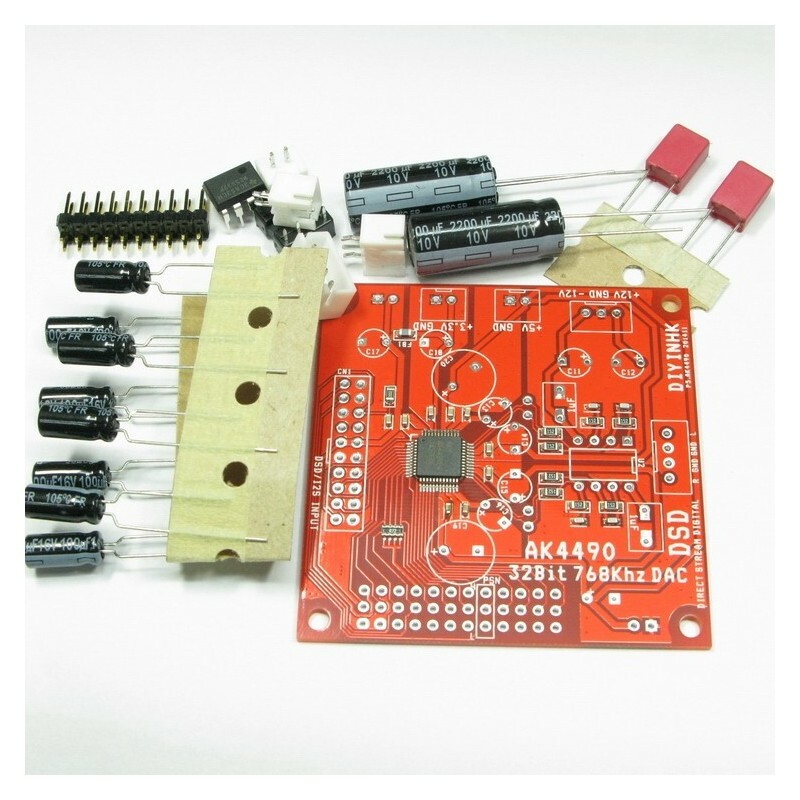 1)The AK4490 PCB can work immediately with only I2S signal and power supply connected, one 3.3V (>300mA), one 5.0V (>100mA) and one +-12V (>100mA) regulated power supply in the default parallel operation mode. 2)For Diyer requires more deeper customization or switch to DSD playback(software I2C command is needed), the latest veraion of AK4490 datasheet is available in the official AKM website. 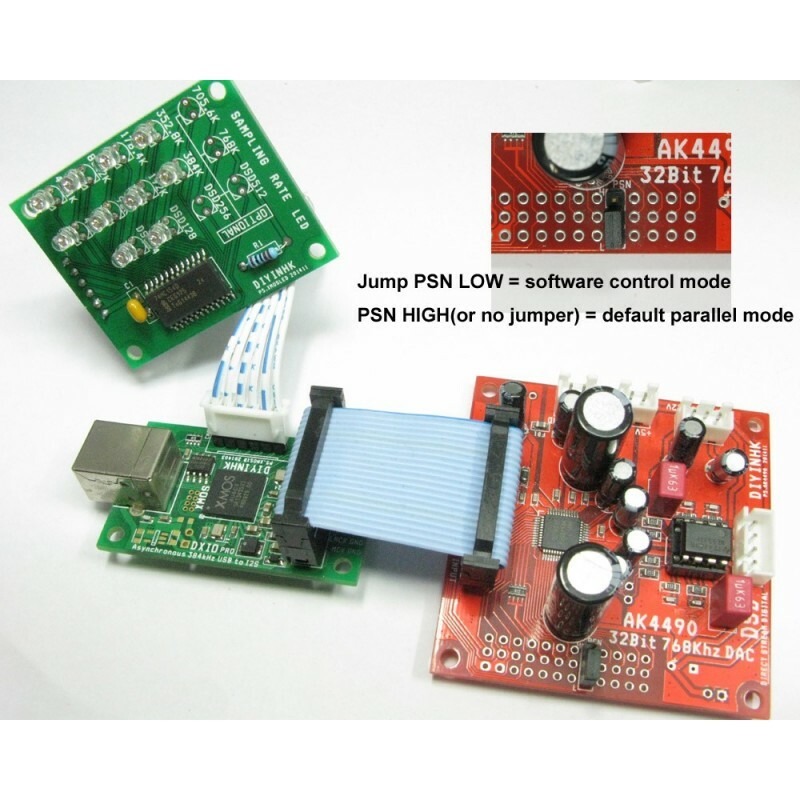 1) Install jumper on AK4490 PCB PSN socket and SET it to LOW. The DAC will start to run in software control mode. 2) With our customized firmware, the audio data send to the DAC is always bit perfect and the volume control is done in the DAC chip. DSD volume control is available using the operating system mixer. 1) To avoid click noise occurs during replug of USB cable, remove FB1 and uses external 5v supply to CN3. Please notes reversed polarity or over voltage can damage the xmos chip immediately. *According to the AK4490 official datasheet page 44 notes 6 and our test, click noise occurs during power on/off, external mute circuit may be needed if click noise adversely affect system performance. *Our latest D1X headphone amplifier includes power on delay and instant off output relay. It can mute the power on/off click noise of AK4495/AK4490 as well as all the other DAC chip requires this feature. *For normal user, the newer AK4490 should be a better choice than AK4495. 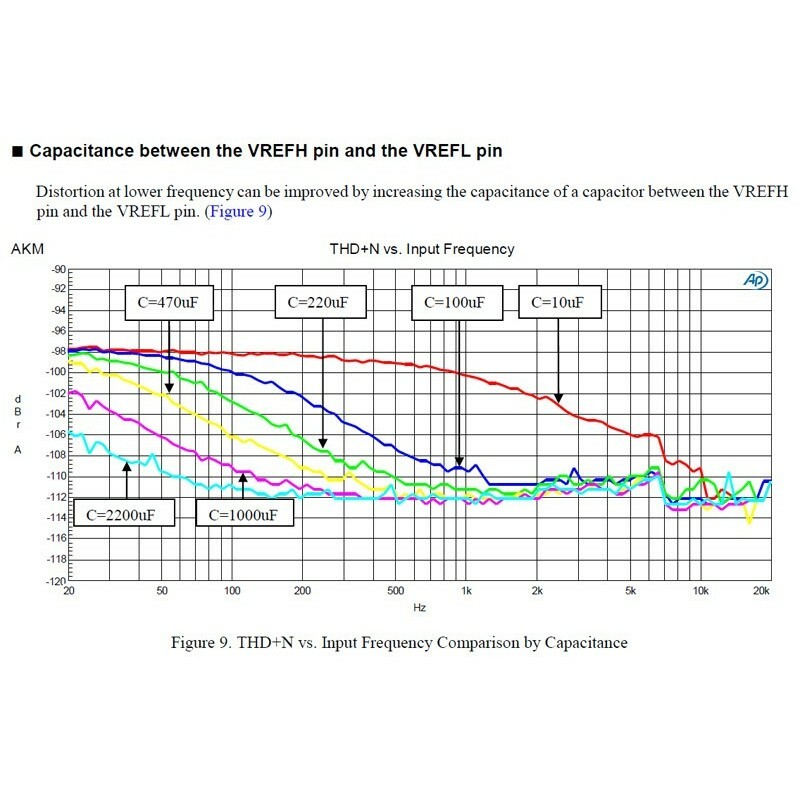 AK4490 has better THD+N, lower cost and officially support upto 11.2Mhz DSD. 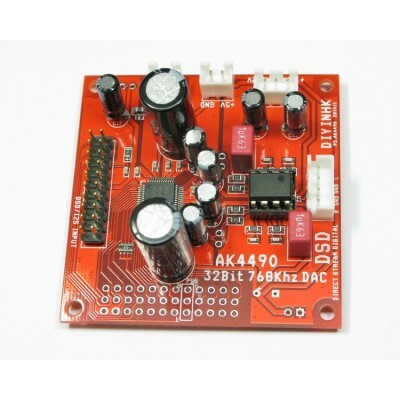 AK4495SEQ is the first 768k DAC chip from AKM and it can be used as a reference for advanced user. Both can playback DSD512 file in our lab test condition.